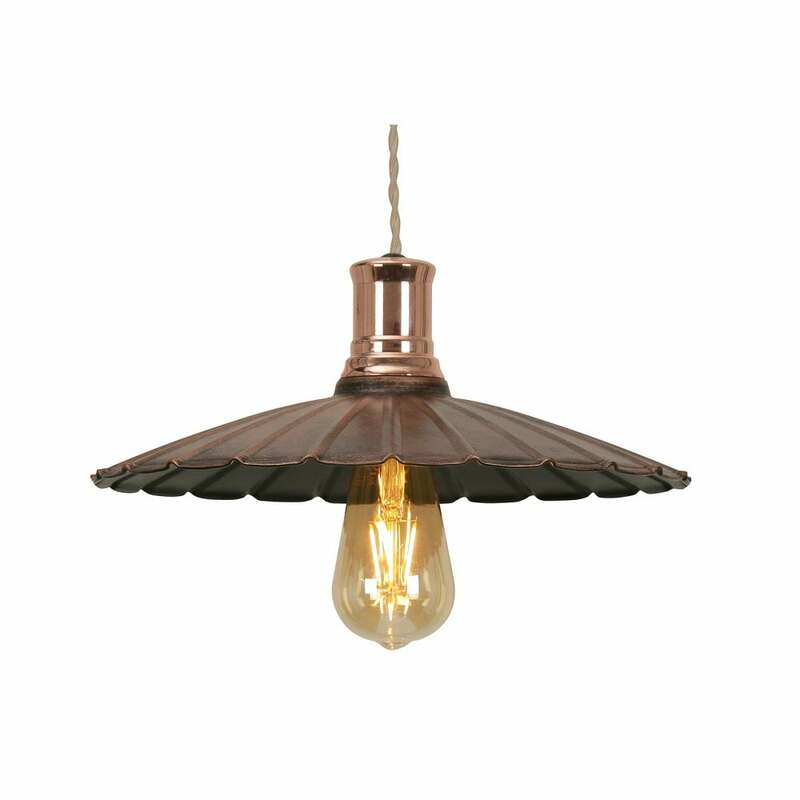 Oaks Lighting Eska single light ceiling pendant features a circular ceiling plate with twisted cable holding a wide brim metal shade in copper finish with decorative petal edging. This product code is 6556 CU. The charming pendant looks great teamed with a vintage filament lamp, the pretty metal shade has the look of an umbrella and is a perfect choice for both modern or traditional styled decors within your home. Height adjustable at point of installation and comes supplied with 30cm of cable. Also available with an antique green finish which can be viewed on our website.